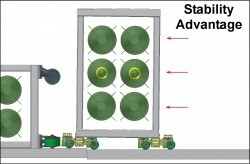 A brief overview of current Wheel Float types, structure, and operation. Tilting and moving a load from one end can be frustrating. Wheel Floats solves the problems associated with this practice, making it safe and easy. 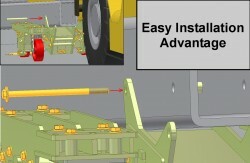 End Mount Wheel Float multiply heavy equipment's capabilities and are easy, fast, and practical to remove and install. Capsize accidents are reduced with Wheel Floats. These slides show why. 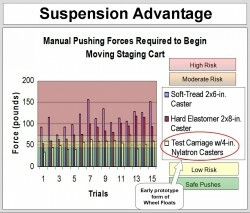 Wheel Float suspensions reduce shock and mobile resistance compared to regular casters. In most cases mobile resistance is cut in half. 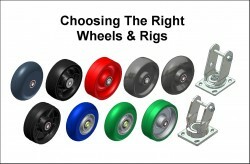 Wheel Floats solve the problem of casters binding up and not swiveling right. 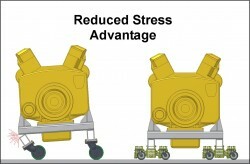 The result is safe and compliant turns and maneuvers. 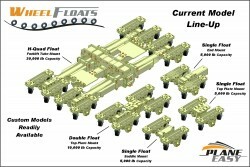 Wheel Float's fast and easy single person installation helps promote a culture of efficiency and safety. 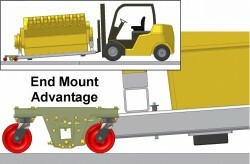 Wheel Floats neutralize twisting stresses imposed on loads and platforms by regular casters. Eliminating this stress reduces expensive and restrictive redundant designs and opens the door to leaner and less reinforced support design options such as hydraulic rods and elevated legs. 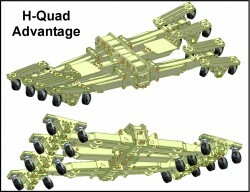 H-Quads multiply the benefits of Wheel Floats with layers of articulation and weight distribution. They provide cradle-like transport of heavy & sensitive aerospace tooling, and other high priority loads. From lay-up operations and all the way through autoclave cycles, Wheel Float H-Quads solve multiple mobility problems in one package. 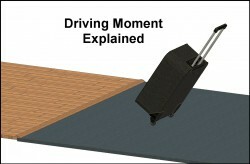 Using a common wheeled luggage case, the concept of Low Driving Moments, (a key feature of Wheel Floats), is simply illustrated & explained. Wheel Float benefits can be extended to a wide range of long troubled mobility applications. 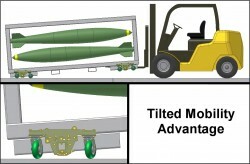 The Float Cart and Folding Frame Floats concepts shown here are just two of these applications available to be tailored to customer specific operations.